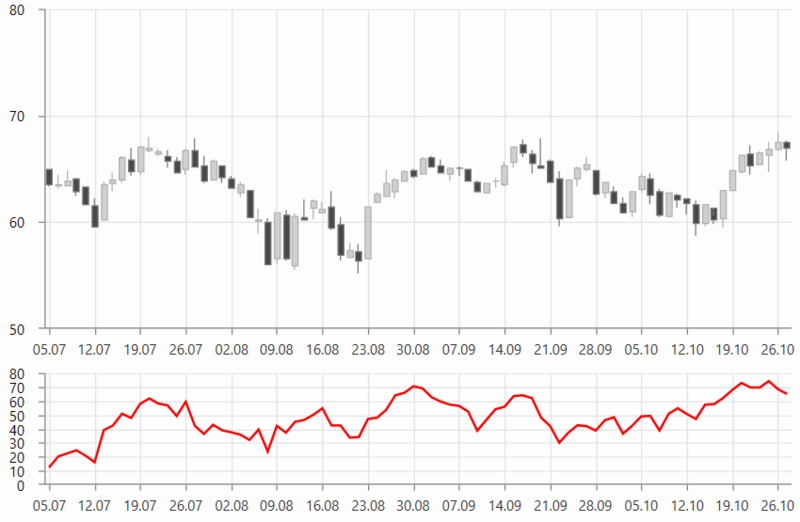 UltimateOscillatorIndicator measures momentum across three timeframes. The indicators has less volatility and trade signals compared to other single timeframed indicators. To set up the indicator you can set its CategoryBinding, HighBinding, LowBinding, CloseBinding, and ItemsSource properties. Additionally, you can control the period (in days) over which the indicator will be applied. To do this set the Period, Period2 and Period3 properties.